If you are looking for a simple Christmas dessert that is still yummy and beautiful, this Christmas cupcake wreath might be just the thing. Your favorite cupcake recipe is easily dressed up for Christmas with some green frosting and a red bow. 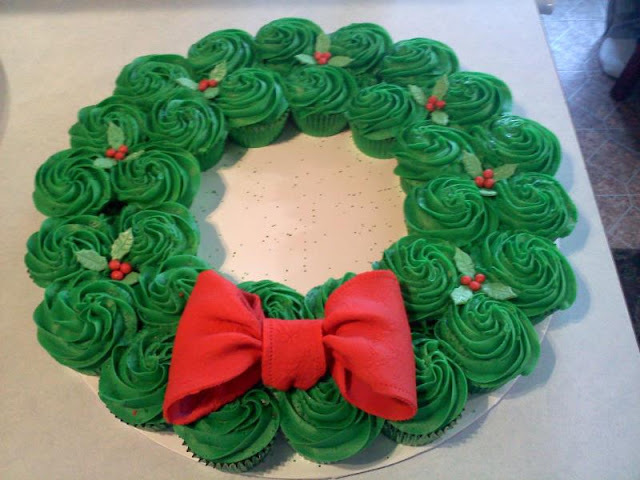 This fun cupcake wreath was spotted over on Take Them A Meal's Facebook page. Not only is the wreath great, but check out Take Them A Meal, a great site that coordinates taking meals to people in need.